Comfortable, yet stylish, this maternity tunic features a printed black lace bow design in this longer length maternity top. Team it with our over the bump leggings for a fabulous casual winter look. 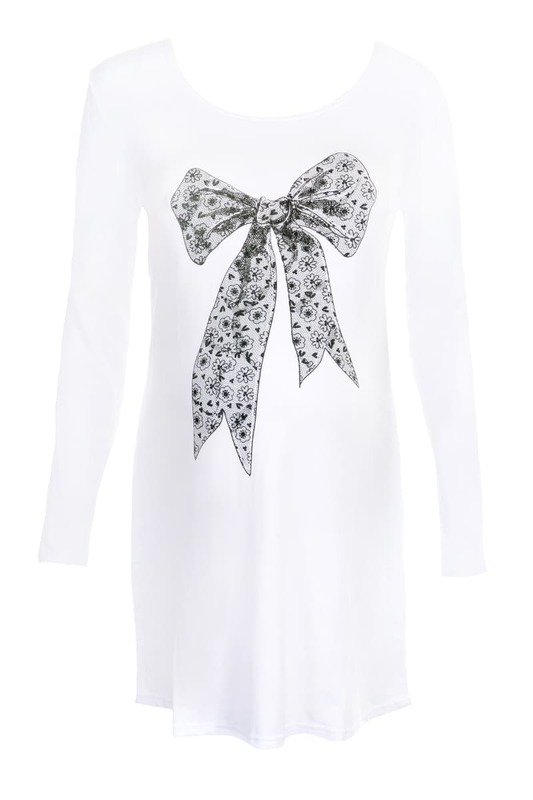 Our Lace Bow Maternity Tunic is available in UK sizes 10-12, 14-16, 18-20, 22-24 & 26-28.